Oven Has Five Shelf Positions and Allows Two Shelf Cooking. 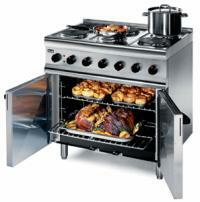 Useable Oven Size: 500mm x 440mm x 360mm. 700mm x 650mm x 870mm. 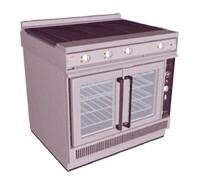 Useable Oven Size: 400mm x 535mm x 430mm. 600mm x 850mm x 870mm. 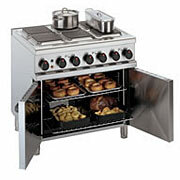 Useable Oven Size: 700mm x 535mm x 430mm. 900mm x 850mm x 870mm. Useable Oven Size: 620mm x 53mm x 350mm. 900mm x 940mm x 900mm. Useable Oven Size: 620mm x 505mm x 425mm. 900mm x 835mm x 870mm. Warranty: One Year Parts and Labour.